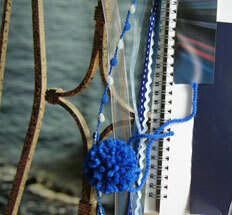 Let's look at the blue color palette and see the range of colors we can use for our handmade cards. 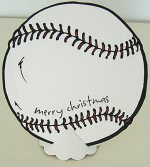 This color scheme is very suitable for man's or masculine cards. To decide on a color palette, you might like to study the Basic Guidelines for Choosing Colors. Blue is the color of the sky. It's also the color of the deep blue sea. Both of these are ever-changing depending on the weather. Beside the color of the sky and sea, blue also brings to mind a pair of denim blue jeans - strong and durable. Blue has a calming effect on us. It brings out a feeling of stability and conveys a strong message of dependability. This is especially effective in the darker shade of blue in the blue color range. For example, royal blue or navy blue. Navy blue is the color of uniforms worn by authoritative personnels. It speaks of power and dignity. On the other hand, light blue is a sporty color and speaks of youthfulness. Also when you lighten the color further, it's the right color theme for celebrating the birth of a baby boy. A Monochromatic Scheme is a color scheme that involve using only a hue and its tints and shades in your design. The following color chart will give you an idea of how to use the Monochromatic Scheme. And this is what the letters in the color chart refer to. 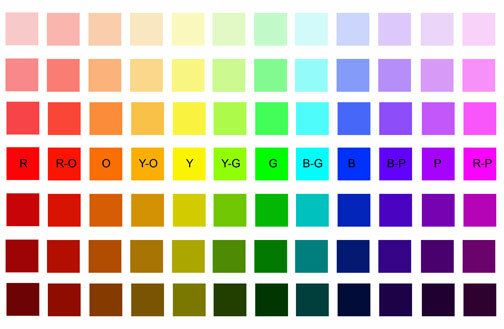 The colors above the row with the abbreviated color names are the tints of the hue and those below are the shades. Remember, tints are created by adding white while shades are created by adding black. So, for a red monochromatic scheme, you can choose red or any one of the tints or shades of red as the main color and then choose another one or two colors from the tints or shades. And likewise for the other hues in the above color chart. For today, we will just look at a Monochromatic Scheme using the blue color palette. The picture below shows the range of colors you will choose to create a blue monochromatic card. 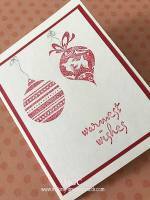 Just pick up one main color to set the tone of your card and add one or two tints or shades as subordinate colors. 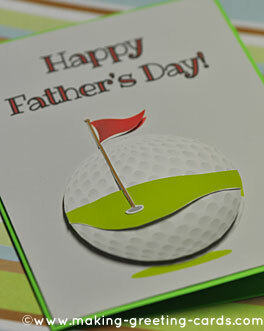 Below are the colors I chose to create some Happy Father's Day Cards. 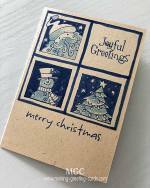 To view the cards and instructions on how to make them, just click on each card to see how the particular card was created and the supplies used. 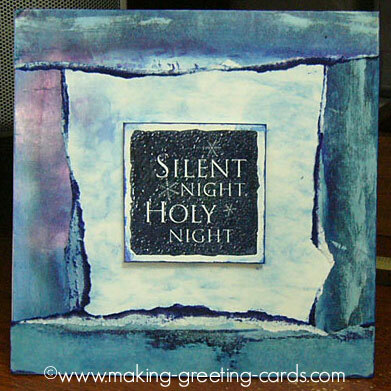 And here's a Christmas card that uses this beautiful color palette. 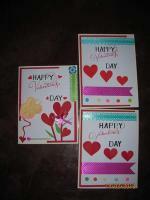 I hope that you will try creating some man's cards with the blue color palette after this lesson. 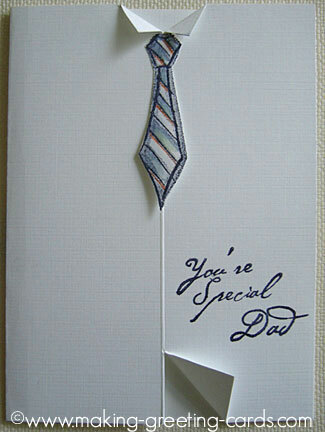 Maybe a Happy Father's Day Card. Keep on creating with these colors. Looking forward to sending you the next lesson on this color study.